Also known as "boot camp" our board and train is an intensive training program that focuses on eliminating behavioral issues. 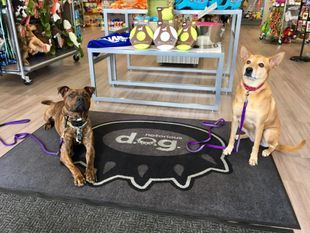 Your dog will stay overnight at our facility and a professional trainer will work with your dog multiple times throughout the day to eliminate unwanted behaviors and teach basic commands. Your dog will also have the opportunity to attend classes in the evenings with our trainers. This program is tailored specifically to your dogs needs and ranges in length of stay depending on your training goals. 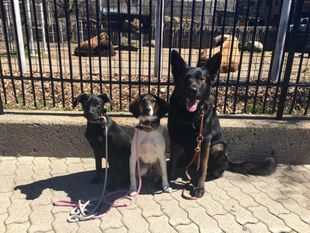 Once training is completed, we will show you how to maintain your dog’s new education though a follow up lesson, which is included in the program. Pricing is determined on a case by case basis dependent on the dogs issues, and length of the dogs stay. 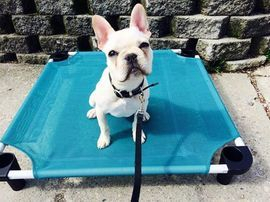 Our board and train program is suitable for fearful or aggressive and is specifically designed for dogs with behavioral issues. A complimentary evaluation is offered for anyone interested in this program. Pricing and length of dogs stay is determined during evaluation. We also have a Daycare and Train program for dogs wishing to go home at night, or for less intensive training. 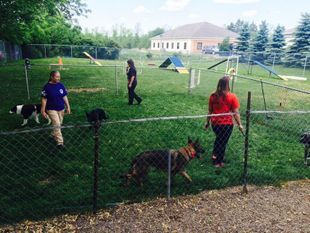 Pictured at right: Sara, the German shepherd is integrated successfully into a small group social. Sara was with us for a board and train to help her cope with her fear aggression towards other dogs and people as well as basic obedience. Interested in Board and Train?